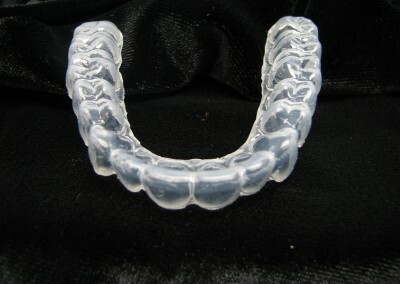 Whitening Tray / Bleaching Tray are thin, and flexible which slip onto the upper and/or lower teeth and are custom designed for the patients mouth. Which in return provides a much better fit and shows results in as few as seven days. The custom fit nature to the whitening tray provides a small reservoir on each tooth with sealing on the gingival surface of the tooth to allow ideal comfort while it rests in the patients for 30 min.